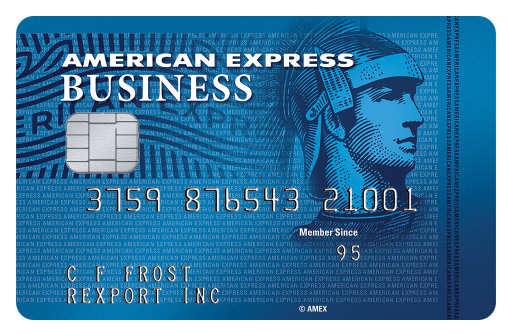 American Express has increased the offer on their SimplyCash Plus Business Credit Card to $500. The spending requirement is a bit high but this is a great no fee card to add to your wallet. Let’s take a look at the offer, the card and whether or not it is worth applying for. Earn a $250 statement credit after you spend $5,000 in qualifying purchases on your Card within the first 6 months of Card Membership. Plus, earn an additional $250 statement credit after you spend an additional $10,000 or more in qualifying purchases on your Card within the first year of Card Membership. Learn more: Compare this and other offers and apply online HERE. 5% cash back at U.S. office supply stores and on wireless telephone services purchased directly from U.S. service providers. Capped at $50K in spend per year. 3% cash back on the category of your choice from a list of eight. (Airfare, hotels, car rentals, gas, advertising, U.S. restaurants, U.S. shipping or U.S. computer hardware. Capped at $50K in spend per year. First off, $500 is about as good as you are ever going to get for a sign-up bonus on a no annual fee card. With that said, American Express wants you to spend big and thus you have to do a total of $15K in spend in order to get the bonus. Considering the card does have 5% and 3% categories, and you have a year to do it, it should be a manageable spend for many. Even if you can only manage $5K in six months, you still get a $250 bonus. I think this card has a tremendous amount of value. It has Amex Offers and thus can generate cashback that way, doesn’t show on your credit since it is a business account which can help with Chase 5/24 and it earns 5% back at office supply stores. In my opinion the bottom line is that this offer is good for someone who absolutely knows they can meet the spend. It is also good for people who don’t have a Chase Ink since it allows you to benefit from 5% back at office supply stores. Keep in mind that the normal bonus offer has been $250, and then $400 more recently. This isn’t the deal of the century, but if you are looking for a solid no annual fee business card from American Express with great bonus categories, access to Amex Offers and a big sign-up bonus, then this offer may be worth considering. Next articleNYC to Chi Town May be Rowdier than Flights to Vegas Starting in April!!! I want an AMEX but even $5000 in 6 months is nearly impossible for me. And, at 1%, Id lose $50 versus my 2% card. I don’t manufacturer spend or anything like that. Are the 3% and 5% $50k caps combined, or separate ie. 100k total between the two?